If you've been thinking about selling your home, you've probably also been thinking of ways to make your property as attractive as possible to potential buyers. The simplest and most inexpensive way to do that? Paint. In just one day, with just one gallon of paint, you can add a crisp new look to a front door, a fence gate, a kids room, a bathroom, several yards of trim, a window frame, a fireplace mantle—the possibilities are almost endless. 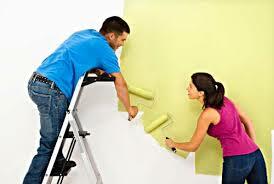 Of course, there are many other simple ways to spruce up the look of your already great-looking property. I'd be happy to stop by and share more ideas with you. Please call or email me anytime.